The course takes place around the Elmhurst Community and on the Illinois Prairie Path. Awards will take place immediately following the Kids' Dash finishing! T-Shirts will be guaranteed for runners who pre-register up to two weeks in advance for the race. Extras will be given out on a first come, first serve basis! Race Day registration and packet pick-up will begin at 7:45 A.M. and last until 10 minutes before the start of the race. Parking can be found in a parking lot off of York St. and also on the streets around Wild Meadows Trace Park. Alpha Sigma Phi Events Release, Indemnification and Hold Harmless Agreement In consideration of participating in Alpha Sigma Phi events, and for other good and valuable consideration, I hereby agree to release and discharge from liability arising from negligence, Alpha Sigma Phi, County of DuPage, the Elmhurst Park District, and its owners, directors, officers, employees, agents, volunteers, participants, and all other persons or entities acting for them (hereinafter collectively referred to as "Releasees"), on behalf of myself and my children, parents, heirs, assigns, personal representative and estate, and also agree as follows: 1. 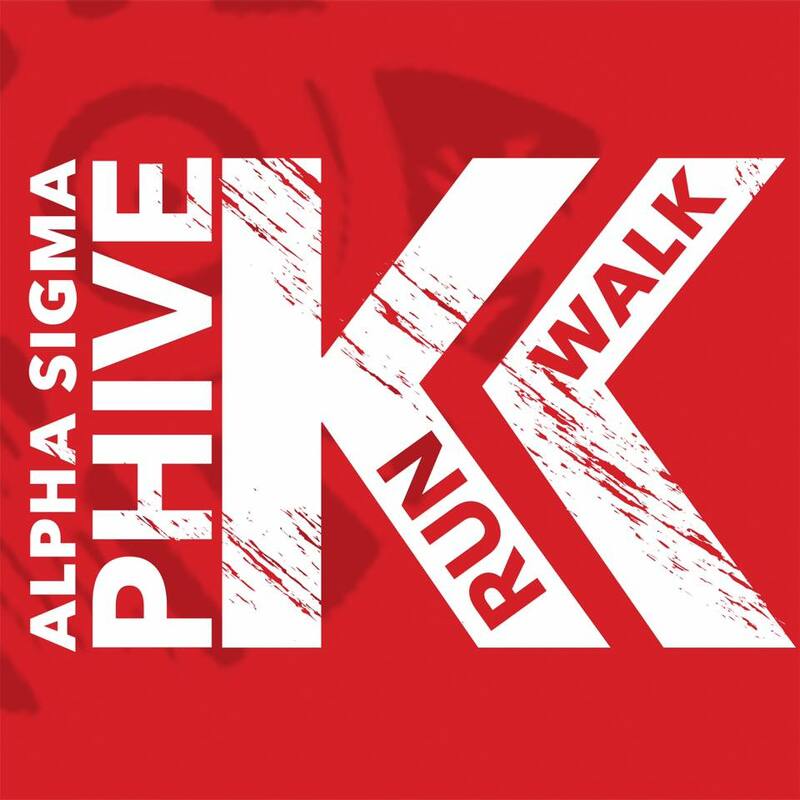 I acknowledge that participating in Alpha Sigma Phi events involves known and unanticipated risk which could result in physical or emotional injury, paralysis or permanent disability, death, and property damage. Risks include, but are not limited to, broken bones, torn ligaments or other injuries as a result of falls or contact with other participants, death as a result of drowning or brain damage caused by near drawing in pools or other bodies of water; medical conditions resulting from physical activity and damaged clothing or other property. I understand such risks simply cannot be eliminated, despite the use of safety equipment, without jeopardizing the essential qualities of the activity. 2. I expressly accept and assume all the risks inherent in this activity or that might have been caused by the negligence of the Releasees. My participation in this activity is purely voluntary and I elect to participate despite the risks. In addition, if at any time I believe that event conditions are unsafe or that I am unable to participate due to physical or medical conditions, then I will immediately discontinue participation. 3. I hereby voluntarily release, forever discharge, and agree to indemnify and hold harmless Releasees from any and all claims, demands, or causes of action which are in any way connected with my participation in this activity, or my use of their equipment or facilities, arising from negligence. This release does not apply to claims arising from intentional conduct. Should Releasees or anyone acting on their behalf be required to incur attorney's fees and costs to enforce this agreement, I agree to indemnify and hold them harmless for all such fees and costs. 4. I represent that I have adequate insurance to cover any injury or damage I may suffer or cause while participating in this activity, or else I agree to bear the costs of such injury or damage myself. I further represent that I have no medical or physical condition which could interfere with my safety in this activity, or else I am willing to assume - and bear the costs of - all risks that may be created, directly or indirectly, by any such condition. 5. In the event that I file a lawsuit, I agree to do solely in the state where Releasees' facility is located, and I further agree that the substantive law of that state shall apply. 6. I agree that if any portion of this agreement is found to be void or unenforceable, the remaining portions shall remain in full force and effect. 7. If I am an guardian signing for a person under the age of 18, I further agree to indemnify and hold harmless releases from any claims alleging negligence which are brought by or on behalf of minor or are in any way connected with such participation by minor. 8. By signing this document, I agree that if I am hurt or my property is damaged during my participation in this activity, then I may be found by a court of law to have waived my right to maintain a lawsuit against the parties being released on the basis of any claim or negligence. I have had sufficient time to read this entire document and, should I choose to do so, consult with legal counsel prior to signing. Also, I understand that this activity might not be made available to me or that the cost to engage in this activity would be significantly greater if I were to choose not to sign this release and agree that the opportunity to participate at the stated cost in return for the execution of this release is a reasonable bargain.